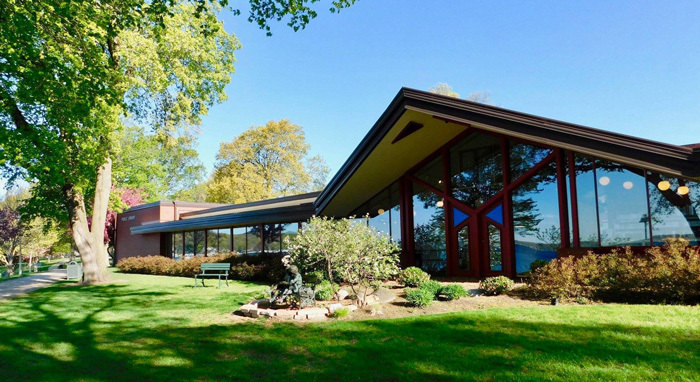 With idyllic views of the lake and a building designed by Frank Lloyd Wright protégé James Dresser, Lake Geneva Public Library in Wisconsin holds a special place in the community. So when it came time to select a vendor for RFID and self-service checkout, library director Emily Kornak needed a partner she could count on for responsiveness, stability, and service. After careful consideration and evaluation, the team at EnvisionWare rose to the top. Lake Geneva was already using EnvisionWare’s computer and print management software so Library staff were familiar with EnvisionWare’s products and support. “EnvisionWare provided a competitive bid for this project, and one of the final deciding factors for us was their reputation for excellent customer service and technology support,” said Library Director Emily Kornak. Once the vendor selection process was over, Lake Geneva and EnvisionWare rolled up their sleeves for the conversion to RFID. Over 60,000 items were tagged in partnership with Backstage Library Works. EnvisionWare’s RFID software and hardware were installed, along with security gates. 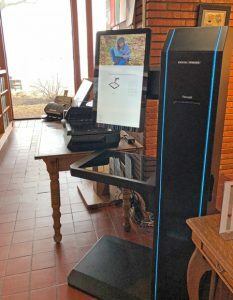 As part of the RFID project, Lake Geneva also installed two RFID-enabled self-service checkout stations with EnvisionWare’s X11 kiosks and OneStop™ software. In addition to RFID and self-service checkout, the Library also expanded patron services by installing the Library Document Station™ for self-service scanning, faxing and copying services, as well as MobilePrint Service™ to enable patrons to print on-the-go from mobile devices and personal laptops. These new services are helping Lake Geneva keep pace with the needs of patrons of all ages and are creating efficiencies for Library staff to enable them to provide more programming and face-to-face public service with members of this bustling lakeside community.